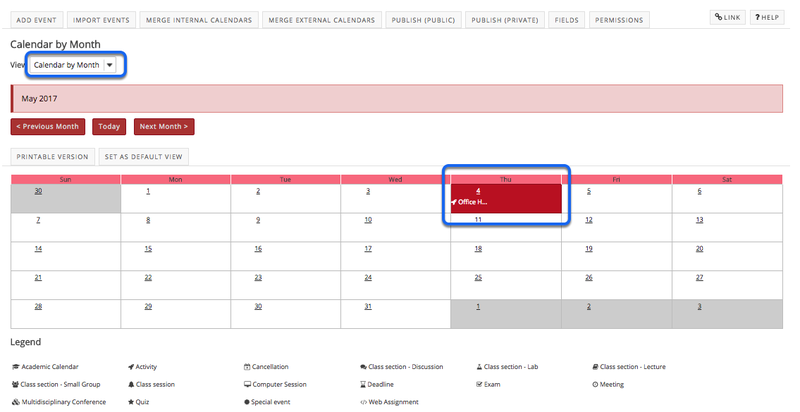 Instructor User Guide CalendarHow do I view calendar item details? You can view the calendar by day, week, month, year, or list of events. Click on the event name on the calendar and the item details will display.